The South coast of Iceland is the best starting point for your exploration, because it gathers all the landscapes and wonders that make this country such an extraordinary land. With this complete guided tour you will discover – at a slow pace – all the most famous natural attractions, in the moment of the awakening from the winter, as well as explore less known places. 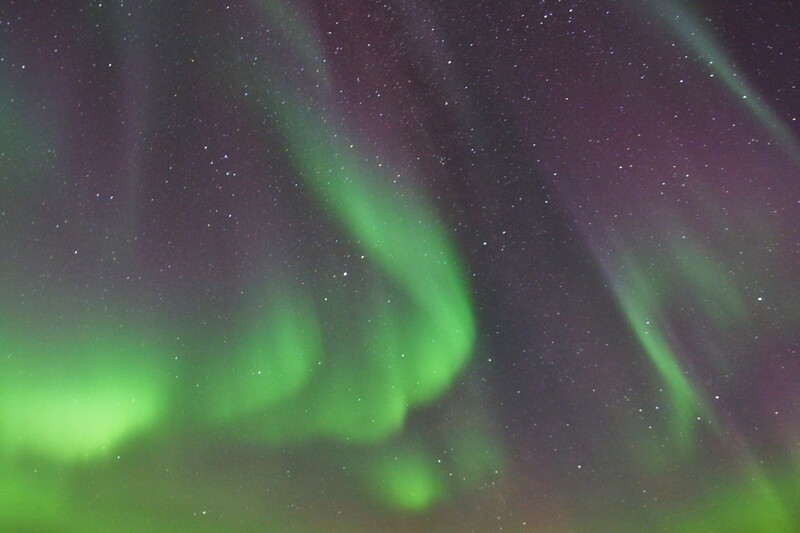 The icing on the cake will be if magic northern lights -a phenomenon as unpredictable as emotional – will decide to show up before the hibernation until the next Autumn. Arrival in Keflavík and transfer to Reykjavík in shared shuttle (frequent departures). Meet with the guide and, depending on the time of the flight, visit to some of the most representative places. Among these, the enchanting lake of Tjörnin and the Harpa, iconic glass building by the sea. We can’t miss a visit to the majestic Hallgrímskirkja. Moreover, Reykjavík is a perfect city to stroll around and it’s very nice to get shelter in one of the historic cafes, to get warm up with a kaffi or a kókó. Overnight stay in 3* hotel in the centre. First stops are the ones of the Golden Circle. We start with Þingvellir National Park, place of the first parliament, where it’s possible to admire one of the most impressive tectonic plates. We move then to Geysir geothermal area, which gave the name to this natural phenomenon, and to Gullfoss, queen of the Icelandic waterfalls with its double jump. Heading south we encounter other waterfalls. The first one is the romantic Seljalandsfoss, where it’s possible to walk all around its jet; the next one is the perfect Skógafoss, in the tiny village of Skógar, last stop of the day. Overnight stay in hotel, few km from Skógafoss. And it’s ice again, but in a different form. We go (or go back) to the Jökulsárlón, the lagoon where hundreds of icebergs of infinite shapes fluctuate and shine under the sun or hide through the fog. And then to the Diamond Beach, where the icebergs meet the sea and glitter on the black sand. Moreover, we make a stop to explore a smaller ice lagoon, as much fascinating and often forgotten. We keep going east, until Höfn and beyond, to be charmed by the spectacular Vestrahorn, mountain with walls impossible to climb, just above the Ocean. 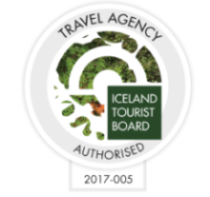 We then go back west with possible additional stops at the Jökulsárlón Skaftafell National Park. Overnight stay in a 3* hotel close to Skaftafell. On this day, we drive back through the part of the Ring Road we have already covered in the past days, which gives us the chance to visit places omitted because of lack of time or adverse weather conditions, or to go back to locations deserving a second visit! 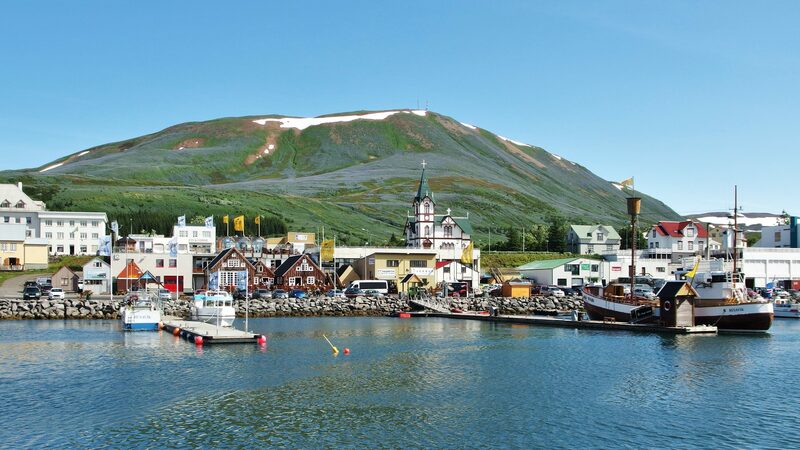 Moreover, we make a stop in the melancholic villages of Eyrarbakki and Stokkseyri: their 2 local restaurants compete among each other for the best lobster soup in Iceland. At the end of the day, there is the possibility to bath in the oldest Icelandic outdoor hot spring. 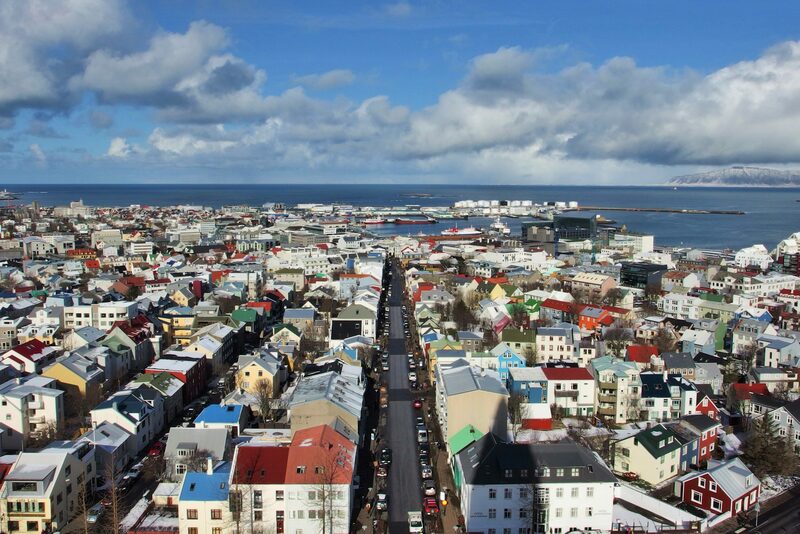 We go back to Reykjavík, final destination of the day, where the guide will leave you. Overnight stay in a 3* hotel in the centre. 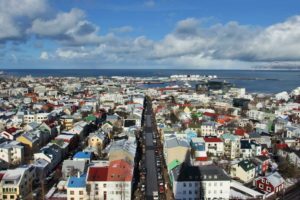 Depending on the time of your flight, there might be time to explore what Reykjavík has to offer. Departure towards the airport with a possible stop at the famous Blue Lagoon, to relax before the flight. Return flight. Bookings: for scheduled departure, please use the form below. For other departures and special requests, please contact us.